Photo of: West of Ireland: West Cork: Kealkill. 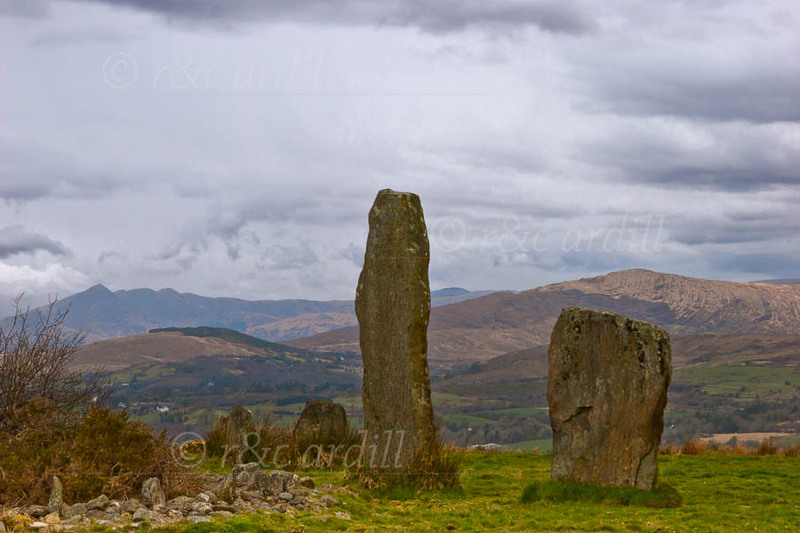 Megalithic stone circles at Kealkill above Bantry in West Cork. Three circles can be seen: the smallest is partly visible at the left of the image; to the right of this is a stone circle with larger stones; and the two large standing stones are what remains of the third circle. The nearest hill is the Coomhola Mountain. In the background to the left is the Beara Pensinsula showing the Caha Mountains and the peak of the Sugarloaf Mountain.